Words like these, spoken so frequently by members of the Greatest Generation, expose one of their deepest concerns: How will the younger generations appreciate the value of being Jewish when society no longer deems it a necessity? As we have seen recently from extremists across the world and those in our own backyard, there will always be forces that are prepared to do harm. When we choose to stand up and participate within the Jewish community, we are preparing to protect ourselves, both physically and spiritually. However, we must not be Jewish only in the face of tragedy; we should also celebrate being Jewish. Helping one another within our community is a way to live Jewishly every day. And Rosh Hashanah is our wake-up call. It is our responsibility to look after one another every day; we don’t wait for an emergency. But emergent situations like Hurricanes Harvey and Irma indicate that those who feel connected to the world will always step forward. Our Jewish community has long been a leader in taking care of the needs of others, and we must continue our work. Each Jewish person should ask himself, “Do I want to be part of a group that is productive, that cares, that nourishes, that supports?” If the answer is yes, then participation in your Jewish community is the key to fulfillment. For some of us today, participation in the Jewish community is a given; yet others require a specific motivation. Realizing that what we do today will be beneficial and galvanizing to our children, grandchildren and great-grandchildren is a most significant motivator to continue our ritual celebrations of being Jewish. The blowing of the shofar is symbolic; but it is the very teaching of symbols like this one that leave an indelible impression on the mind of a child. We act out the same rituals year after year and, at some point, the deeper meaning becomes clear. As a child grows, he or she begins to internalize that the blowing of the shofar is a call to action, a call to one’s neshamah (soul) to wake up and do better. Our children require this wake-up call, and frankly, so do we. This article is a compilation of thoughts of granddaughter Ilana Goldberg Block, 32, and grandfather Leonard P. Baruch, 95, both having served as lay leaders of the Detroit Jewish community. Block currently serves as president of NEXTGen Detroit. L’Shana Tova to the entire Detroit Jewish community celebrating Rosh Hashanah! Let’s take time to remember some of the wonderful things that have happened over the past year. On that firm footing, we can approach the coming year with a sense of optimism and purpose, a desire to give back and dedication to live by the principle of tikkun olam. This year, my wife, Stacy, and I were blessed with the birth of our daughter, Mila. She has given us and the rest of our family immeasurable joy. In the new year, I am committed to being the type of father that Mila deserves, doing everything possible to help her become an intelligent, independent and caring person who makes a positive difference in the world. 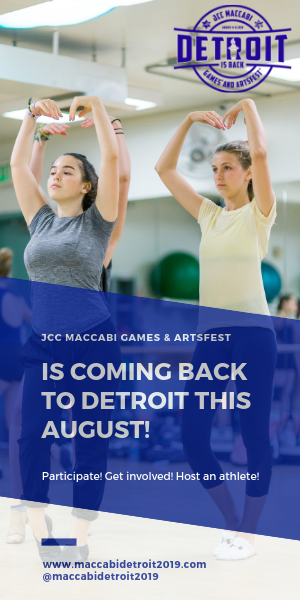 Our Metro Detroit Jewish community has been recognized as a model worldwide for its innovative and successful programming. NEXTGen Detroit’s Interfaith Couples and Pride (LGBTQ) groups brought underserved Jews and their families back into Jewish communal life. We must continue to work toward creating an inclusive “big tent” Jewish community, at home and abroad, that embraces and supports the rich diversity of Jewish people and families. The city of Detroit and the surrounding metro area have clawed out of the depths of the Great Recession, experiencing explosive growth over the past year, like a phoenix rising from the ashes. We need to redouble our efforts so that this progress continues and take additional steps to ensure this revitalization and rejuvenation reaches all our fellow citizens. This great country has survived the most polarizing political election in recent history. It is essential that we come together, regardless of political party, to bind up the nation’s wounds. However, we also have an obligation to vocally oppose the worst impulses of those in power, protect the foundations of our democracy and guarantee that America continues to serve as a beacon light that guides freedom-loving people everywhere. The dream of a homeland for the Jewish people has survived despite impossible odds, and the State of Israel continues to thrive. It is essential to fight even harder against the immoral BDS movement and attempts to delegitimize Israel, and enlist the help of good people of all faiths around the world in that effort. May God bless us as we continue the amazing progress made over the past year and work to accomplish the important aspirations left to be realized. Jonathan H. Schwartz is an attorney at Foster Swift in Southfield. 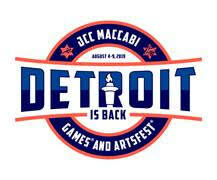 He also serves as the president of the Jewish Bar Association of Michigan and as a NEXTGen Detroit board member. To each of us, the deep ancient sound of the shofar stirs a common yet unique resolute desire for a future we hope to bring to fruition. Rosh Hashanah is a time we set goals for ourselves for the coming year. It is a time for reflection and resolution. What are you determined to no longer put off? What are you ready to undertake? These questions may seem difficult, but they are easier than the ones I am about to ask. What are your partner’s goals? How about your neighbor’s? Your colleague’s? Your congregation leader’s? This Rosh Hashanah, I challenge you to learn their answers, too. As well as those of others who are a part of your life. I encourage you to carry the goals of your loved and dear ones with as much care and nourishment as your own. Our individual success depends on more than merely our individual will. It depends on sharing our goals with others and counting on their support. Likewise, the success of other members of our community depends on us knowing the goals they have set. This Rosh Hashanah, I urge you to be extra- sensitive to the sound of the shofar, to take a look at the faces of hope listening around you, to hear not only your own wishes but those of the community as well. This year, let us hold each other up to reach soaring heights, to find buried spirituality and unbreakable resolve. We are a community. When a member of our community succeeds, we all succeed. We all grow from one other’s growth. This Rosh Hashanah, make it a point to talk to people you love and know about their goals for the future. Talk about how you can help each other soar. Before too long, that ancient sound will pierce the silence. Listen to your heart. Listen to the hearts around you. May we band together to strengthen each other’s unbreakable resolve as we find that buried spirituality and reach soaring heights. Genia Gazman of Farmington is a law clerk at Joelson Rosenberg PLC.